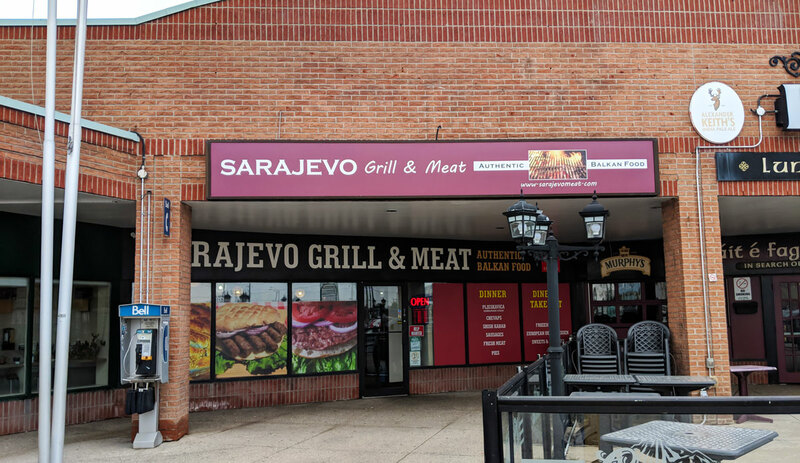 Sarajevo Grill & Meat is a bit odd; they have a few tables, but mainly, it’s a take-out joint and a little supermarket of sorts. 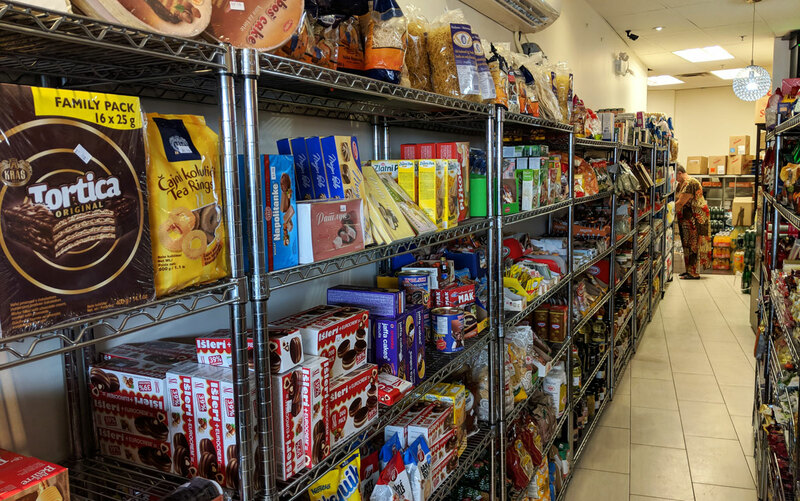 They have several shelves worth of Eastern European groceries, a butcher counter, some cakes and cookies, and a hot table with savoury pastries. 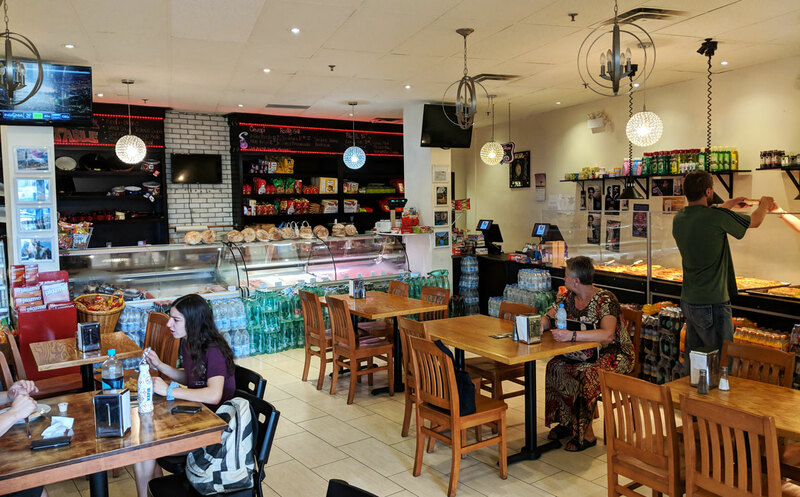 They also have a few meaty goodies you can eat in the restaurant, with their specialty being cevapi, an Eastern European sausage. 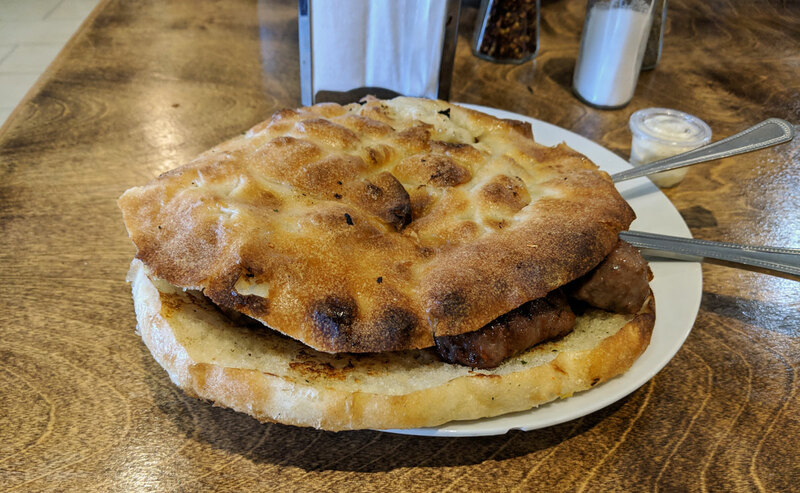 I ordered the large cevapi plate, which comes with a whole pile of little sausages on a plate-sized piece of flatbread called lepinja. 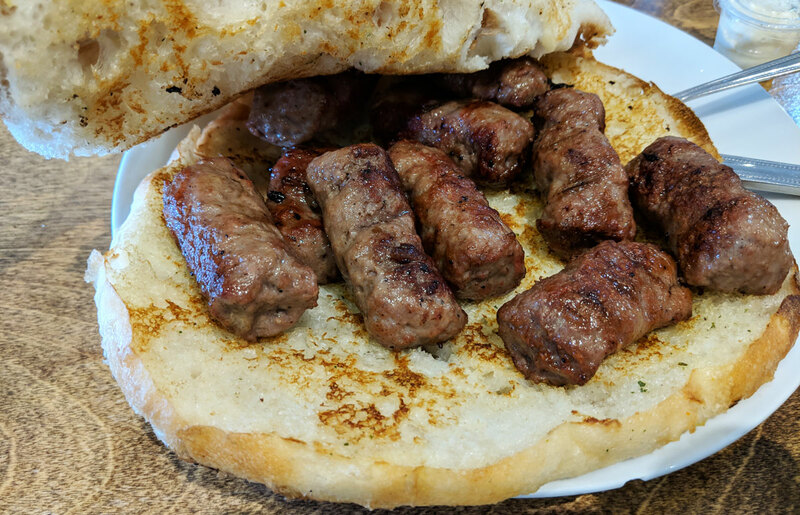 It’s not bad, but the cevapi at Royal Meats (which is about a five minute drive away) is better on pretty much every level. The main issue here is that the sausages are over-salted and under-spiced, with a one-note salty flavour that gets a bit monotonous after a few mouthfuls. They’re also extremely greasy. This normally wouldn’t be an issue; there’s nothing sadder than a dried-out sausage. But these go a little bit too far in the other direction. It’s the type of dish where your mouth and lips immediately become slick with grease — a feeling that persists long after the meal is done. It didn’t help that the lepinja (which was soft, fluffy, and a little bit chewy) was suffused with oil; some parts were downright mushy. The dish came with a small container of a white substance that I’m pretty sure was just straight-up margarine or lard, just in case you want more grease to dip your greasy bread and your greasy sausages in. It’s basically a heart attack waiting to happen. One thing I’ve discovered over the course of doing this blog: African countries are pretty great at making spicy fried rice. The restaurants that I’ve visited for Nigeria, Uganda, and now Somalia have all served delicious, spicy, and addictive fried rice. 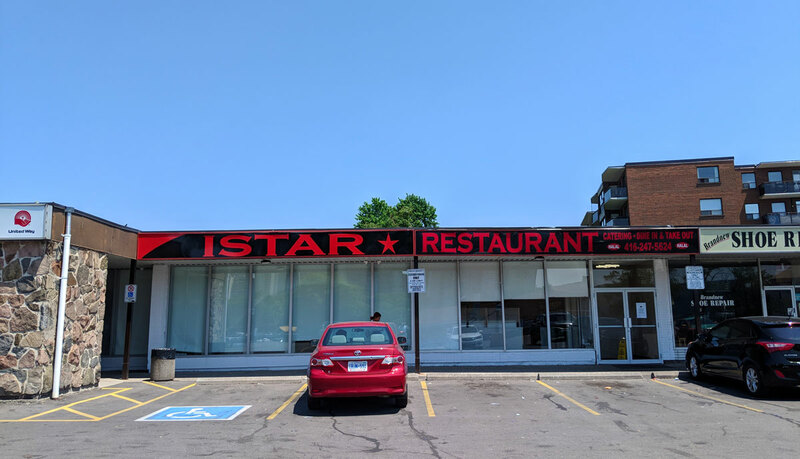 Istar has a variety of Somalian specialties on their menu, though a Toronto Life article specifically referenced the goat and the rice, so that’s what I ordered. It’s good, though the aforementioned spicy rice is the clear highlight. 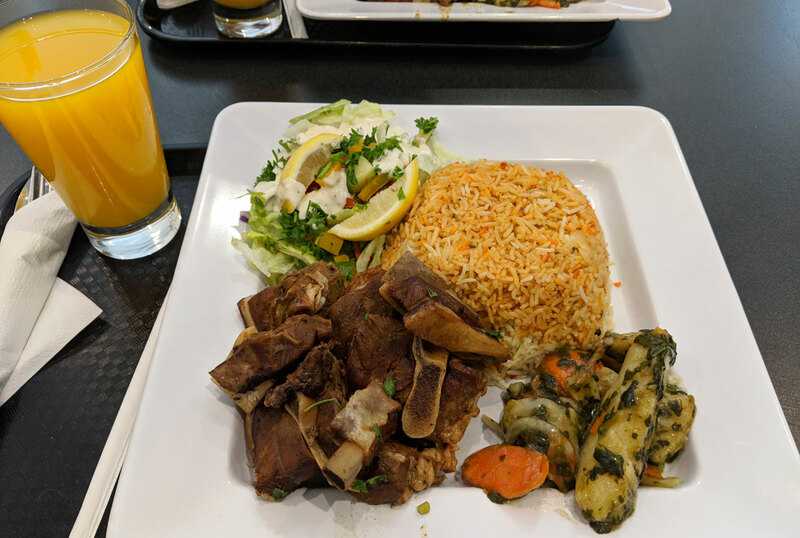 The plate comes with the rice, a generous portion of braised goat, potatoes, and salad. Goat isn’t a meat you see on a whole lot of menus in this part of the world, which is a shame. It basically tastes like a slightly stronger version of lamb. It’s good. Some of the pieces here were a bit on the tough side, but for the most part they were tender and flavourful. The spicing is surprisingly subtle (it tastes like it isn’t seasoned with much beyond salt and pepper, though I’m fairly certain that isn’t the case), but the goat itself is tasty enough that it’s barely an issue. The potatoes were bland and the salad was pretty generic, but the goat and the rice were a winning combo. 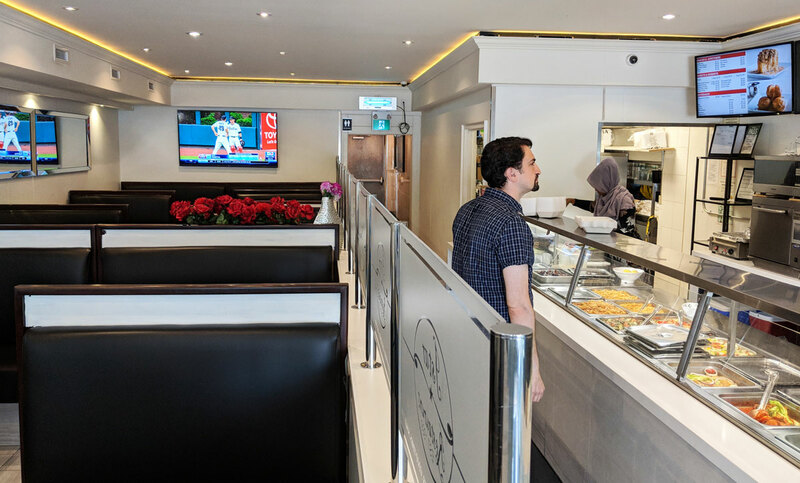 No, this technically isn’t a North Korean restaurant — I think it’s safe to say that all Korean restaurants in Toronto (or any city, really) are South Korean. But I painstakingly researched how the cuisines in North and South Korea have diverged since their split in 1945, and I tried to order a dish that’s closest to what North Koreans actually eat. Actually no, I didn’t do that at all; I just went to a Korean restaurant and ordered what looked good. Because I’m lazy, you see. I ordered the Chaban Dolsot Bibimbap (it’s always a safe bet to order a dish that features the restaurant’s name). For the uninitiated, bibimbap is a dish in which plain rice is topped with various vegetables and meat, an egg, and is usually served with a tasty Korean hot sauce called gochujang on the side. This particularly version is served in a piping hot stone bowl (which is where “dolsot” in the name comes from), which makes the rice along the edges delightfully crispy. I’m generally a pretty big fan of this dish, and this might just be the best version of it that I’ve had. It has a really nice balance of flavours, and just the right amount of kick from the hot sauce. It’s one of those dishes where every bite is a little bit different. It’s pretty great. Sometimes it’s hard to figure out what to order for this blog; how do you distill a nation’s cuisine into one dish? I mean, you can’t. But it’s always nice to get something that can at least give a partial view of what a country’s food has to offer. In the case of Myanmar, there doesn’t seem to be much debate over their national dish: it’s mohinga, Myanmar’s take on Asia’s ubiquitous noodle soup. So, that’s easy. Mohinga it is. Though Royal Myanmar’s version of this dish features noodles that are overcooked and somewhat mushy, and flavours that are more muted than you’d expect (for something that is ostensibly a fish soup, there is an odd lack of anything even resembling a seafood flavour), I still quite enjoyed this. It’s subtle, but a squirt of lime and a sprinkling from the jar of fiery-hot crushed chilis helps to kick it up several notches. It also has a nice garlicky hum, an added richness thanks to the sliced hard-boiled egg, and a vibrancy from the abundant fresh cilantro. The broth has been thickened, but subtly so — some thickened Asian soups can be a bit gelatinous for my tastes, but here it’s just thick enough to to give it substance without going overboard. It’s topped with crunchy chickpea fritters; it’s kind of like topping a soup with crackers, only with a million times more personality.